Luxurious estate home with high-end details throughout. 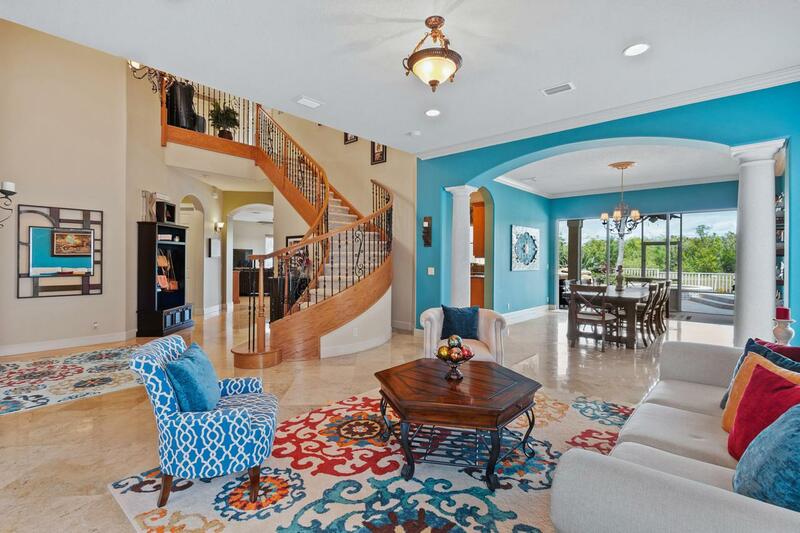 Enter the expansive marble foyer w/ spiral staircase as you enter the living room, which opens to the dining room w/ triple sliders leading to the outdoor oasis. Gourmet kitchen features 42'' raised panel maple cabinetry & granite countertops. Kitchen is plumbed for an island & easily retrofitted. Lovely breakfast area & spacious family room with a wet bar overlooks the pool/spa & tropical paradise. Two new AC units, new upgraded variable speed pool pump, new waterfall pump, marble floors, new carpet, enormous master suite w/separate sitting area, private living room & entry to a private 52'x12' balcony overlooking the pool & water. A 52'x12' screened in patio is on the lower level. Located in a 24/7 gated community with low HOA's. 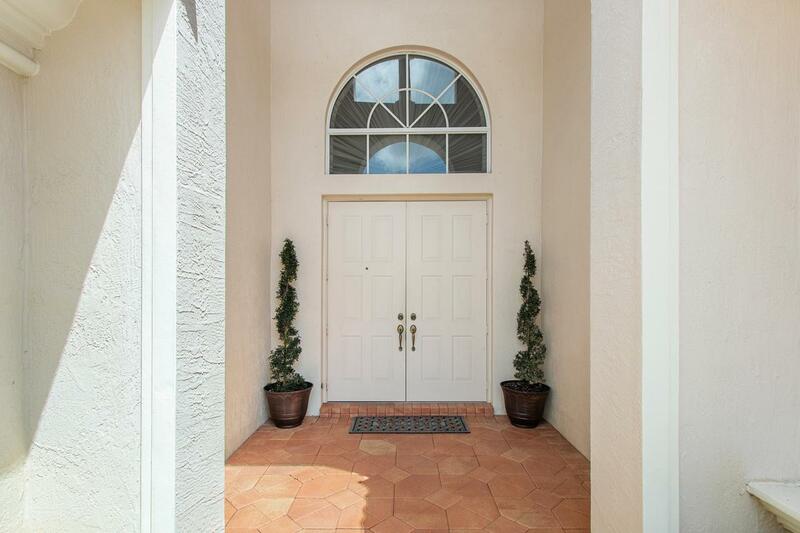 Listing provided courtesy of Coldwell Banker-Boynton Beach.